Ivy oil is a very rarely-used herbal infusing oil. Made of ivy leaves macerated into vegetable oil, it is said to be effective for reducing swollen legs and cellulite. I think this oil has a distinctive smell! It’s also very sticky, so probably you’ll either love it or hate it. However, I want to introduce it even though it’s difficult to get hold of in the UK because I personally like it! 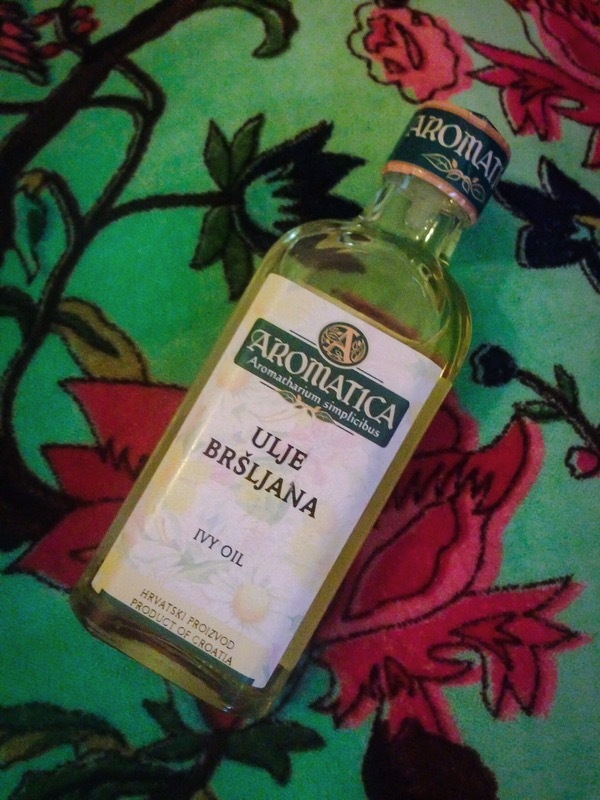 I always purchase it from the Croatian aromatherapy specialty store Aromatica. There has been research conducted on the saponins (active chemical constituents) contained in ivy leaves. While there are many aspects to consider, in summary it would seem that it helps promote blood circulation and fat decomposition in the body, as well as working to resolve cellulite. Since ivy oil is said to be effective for the elimination of swelling in the legs, it is good to use as a body slimming oil for massage. It is especially good for reducing cellulite, so use it around the thighs or buttocks for best results. For me, this is the best souvenir you can bring back from Croatia! Thank you very much for visiting our website. 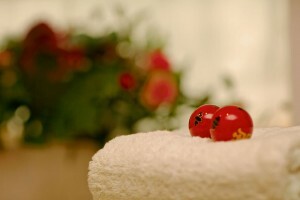 Rikyu is a modern health and beauty salon located in Muswell Hill, North London. Please read here to find out more about our history, our philosophy and your therapist, Emi….